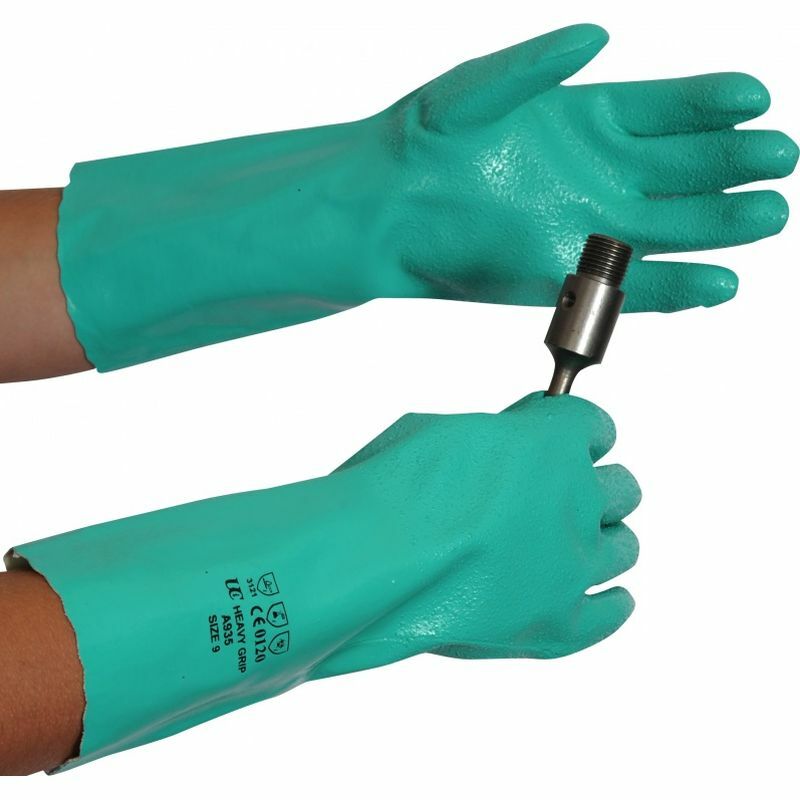 The Heavy Grip Chemical Resistant Nitrile Gauntlets A930 are heavy-duty nitrile gloves that protect well against dilute chemicals. 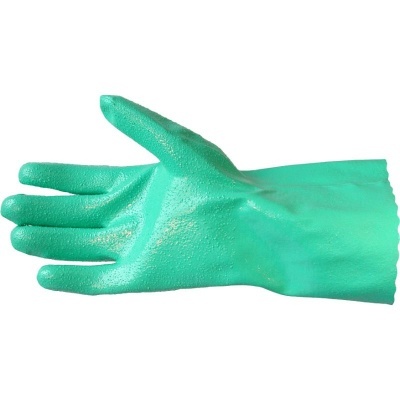 Complete with a soft cotton interlock liner for comfort, the gauntlets are fitted with a rough textured finish to increase grip. 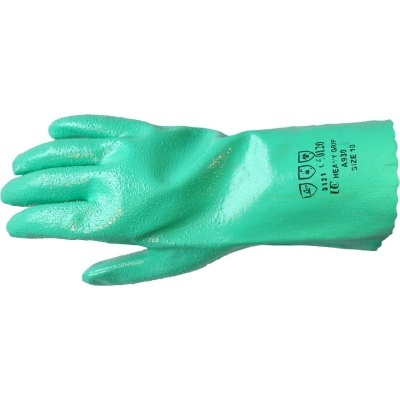 Hardwearing, with superb abrasion resistance, these gloves are ideal for any industry where light chemical protection is necessary. The Chemical Resistant Nitrile Gauntlets are available in four sizes that should suit the hands of most users. Please measure the circumference of your hand around the knuckles (excluding the thumb) with your hand open and your fingers together, and the length of your hand from the tip of your middle finger to your wrist.